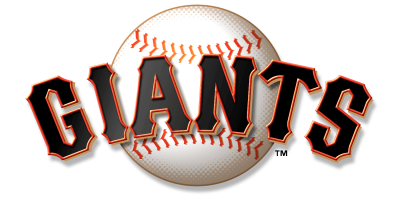 Matt Cain has been the toast of this town since he threw the first perfect game in the history of the Giants franchise. On Monday, he became the toast of New York City for a few minutes, popping in on the Late Show with David Letterman to read the usually dull Top Ten list. Cain’s appearance took place in an empty Angels Stadium before he started Monday night’s win over the Angels. Unlike Cain, Letterman was far from perfect in the interview. 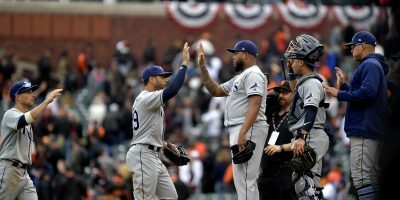 Cain’s was indeed the second perfect game of the season, but it was the fifth no-hitter of the season, not the third. After introducing Cain, Letterman asked a question that he and his audience found funny, but wasn’t really. Cain played along. His response drew a few more laughs. After some banter with Cain, Letterman read stats off a card in his hand. Maybe he needs some new glasses. 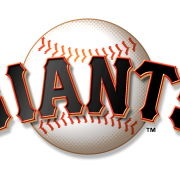 Yep, Letterman said the Giants play in the NFL West. He’s literally reading this off the card in his hand. Maybe he thought he was talking to a member of the NFL champion New York Giants. Cain did his best to make the list funny, and he appeared to have fun. But like most of Letterman’s Top Ten lists, the one liners fell flat.